Blockbuster was once one of the world’s leading retailers. After being founded in 1985, it enjoyed soaring popularity throughout the late 80s and early 90s, as the world piled into hundreds of it’s retail stores to rent the latest VHS or order the newest DVD. It seemed customers couldn’t get enough of Blockbuster’s offering. That was until Blockbuster stopped listening to their demands and failed to recognise their customers’ shift in preference towards online movie streaming services like Netflix. Long story short, by January 2014, Blockbuster had paid the ultimate price for failing to keep up with the changing tastes and preferences of their customers – the company ceased trading completely. 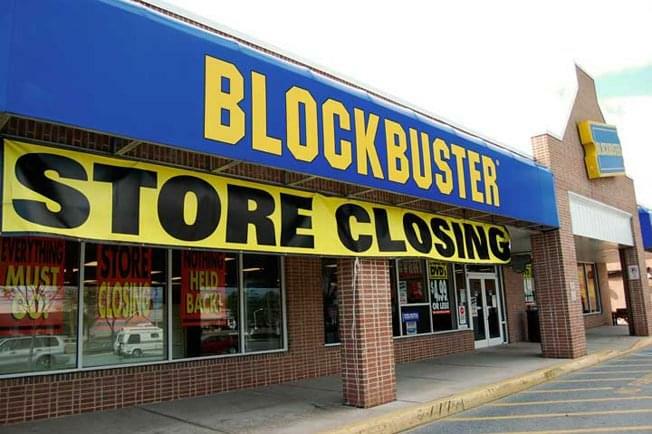 As a result, more then 300 retail stores and distribution centres were shut down and, with it’s tail between it’s legs, Blockbuster began trying to build a fan base for their all-too-late Blockbuster OnDemand service. But what do Blockbuster’s woes have to do with you fair recruiter? Well, while Blockbuster’s downfall is a cautionary tale for many businesses the world over, it is also extremely relevant to recruiters in 2015. Because, in essence, candidates are our customers and if we fail to provide them with the hiring experience they expect, they will find someone else who can give it to them, just as Blockbuster’s customers did. The candidate experience is an integral part of the recruiting process that can impact how effectively a company is able to recruit quality candidates, the popularity of their employer brand, the strength and quality of their referrals, and can even impact the company’s bottom line. But according to a recent survey, 42% of in-house recruiters did not consider candidate experience when selecting/managing their recruitment supply chain, and only half of in-house recruiters have actually measured the impact of a poor candidate experience on their hiring efforts and their business. And a staggering 18% of in-house recruiters admitted that there was no clear owner of the candidate experience in their organisation. 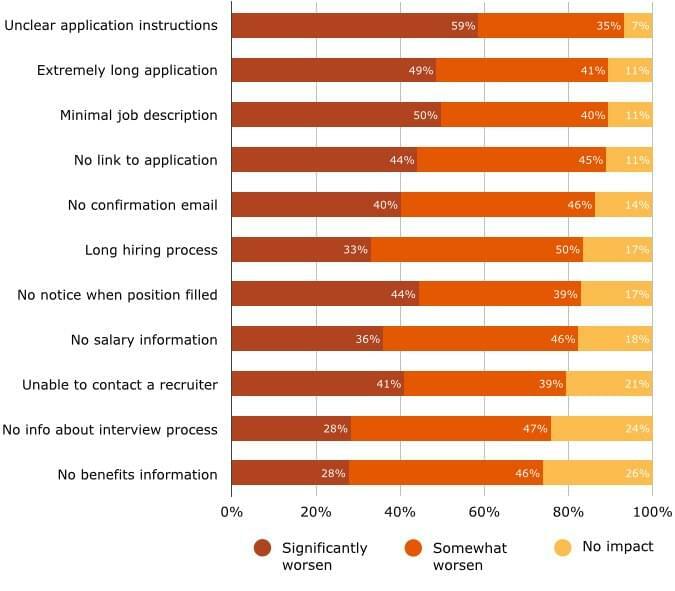 What are the effects of a bad candidate experience? Yikes! That means that not only is a bad candidate experience negatively affecting your recruiting efforts, but it also adversely affects your sales figures too! But that’s not all. Other studies have found that 78% said they would share their bad candidate experience with friends and family, while 34% of candidates who have suffered a bad candidate experience will share their experience on social media, which is out there for the whole world to view! 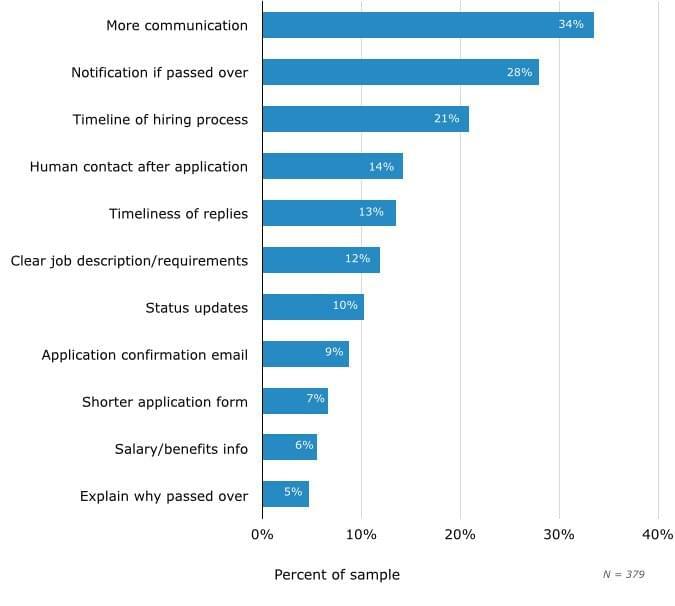 What are the primary causes of a bad candidate experience in 2015? The fact is, out of the 11 causes raised, 8 referred to a failure on the recruiter’s/employer’s part to communicate a key piece of information to the candidate in a timely fashion. And in the so-called Information Age, that my friends, just isn’t good enough. The simple fact is that if recruiters/employers made a conscious effort to keep their candidates informed and communicated openly with them at all stages of the recruitment process, they could not only avoid the negative results with saw above, they could actually improve their overall hiring metrics. The Talent Board’s Director of Programs, Denni Oravec, is a huge advocate of the positive impact a great candidate experience can have at all stages of the recruitment process and beyond, and believes that companies who treat their applicants well, benefit in a variety of measurable ways. “Candidates who were not hired but were treated well are more likely to apply again, to refer others to apply and to remain a customer or an admirer of the company,” she notes. According to Denni Oravec, the companies that consistently win Candidate Experience Awards share a specific quality – ensuring that their candidates always receive some kind of feedback and are not just left hanging. 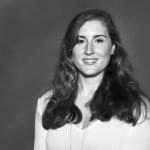 Even if it’s only a quick email to let applicants know they’re no longer being considered for a position, she notes, this can be extremely impactful to candidates. One SoftwareAdvice.com respondent echoed her statement, by saying “just an email would be sufficient … to let the person know, so they are not left wondering”. Interestingly, candidates weren’t as concerned with finding out why they weren’t selected, they just wanted to know whether they had or had not been selected. In fact, just 5% of respondents thought an explanation of why they hadn’t been chosen for a role would improve the application process. If you’re worried you’ll forget to follow up with a candidate, take advantage of a free service like FollowupThen. All you need to do is BCC @followupthen.com when emailing a candidate and it will automatically remind you to follow up with that person at a time and date you’ve specified. All you need to do is determine the day, time or frequency of when you would like to be reminded to follow up, then BCC your candidate email with that email address. For example, if I want to remind myself to follow up with a candidate next Wednesday, at the same time I’m emailing that candidate, I’ll BCC nextwednesday@followupthen.com. For more information on how to use FollowupThen, click here. Whether we like it or not, today’s job market is a candidate driven one. So, if we don’t give them what they want, they’ll find someone else to give it to them. And what candidates want is to be kept in the loop – informed as to the status of their application. It’s that simple. So take another look at your candidate experience this week and ask yourself, “what can I do to improve it?”. Put yourself in the candidate’s shoes. It costs nothing to drop a candidate an email and they’ll really thank you for it! A selection of recruitment's weirdest stock photography. Dear HR Managers - Stop Asking These Stupid Questions! HR Managers take note! 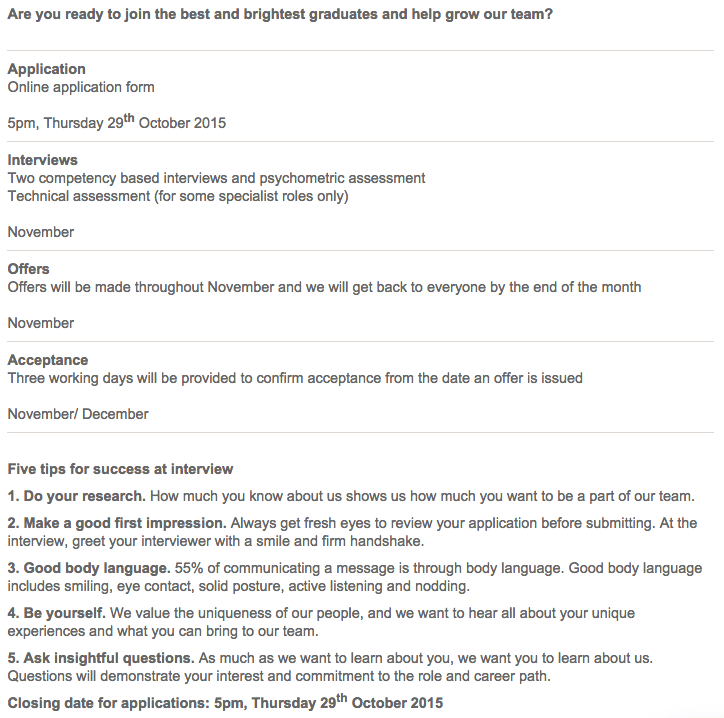 It's time we put an end to the silly interview questions and start asking questions with real value in them. Everything you need to know about getting you and your company up and running on Google+ - from profile photos to Circles and Hangouts to engagement.